Outline Map. Definition: Junk thinking. 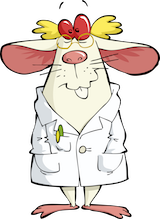 Derivation (Hubaisms): from the Huba term for a boring, sterile outline input to a mind mapping program in order to add pretty formatting. 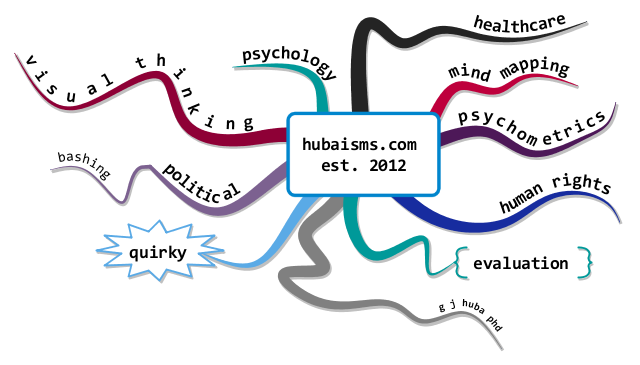 Antonym: Buzan Organic Mind Map. I believe Tony Buzan’s greatest contribution to the theory and practice of visual thinking to be the development of a rich “organic” mind map that could express context so as to much more accurately provide context for bits of knowledge and express relationships through color, positioning, style, fonts, and images. Looking at a well-done organic mind map promotes understanding how simple facts, experiences, and reactions combine into a synergistic whole. It is the ability to present complex information in context within simple diagrams which established the mind map as a primary tool for improving visual thinking. Look at this organic mind map (click to expand)! 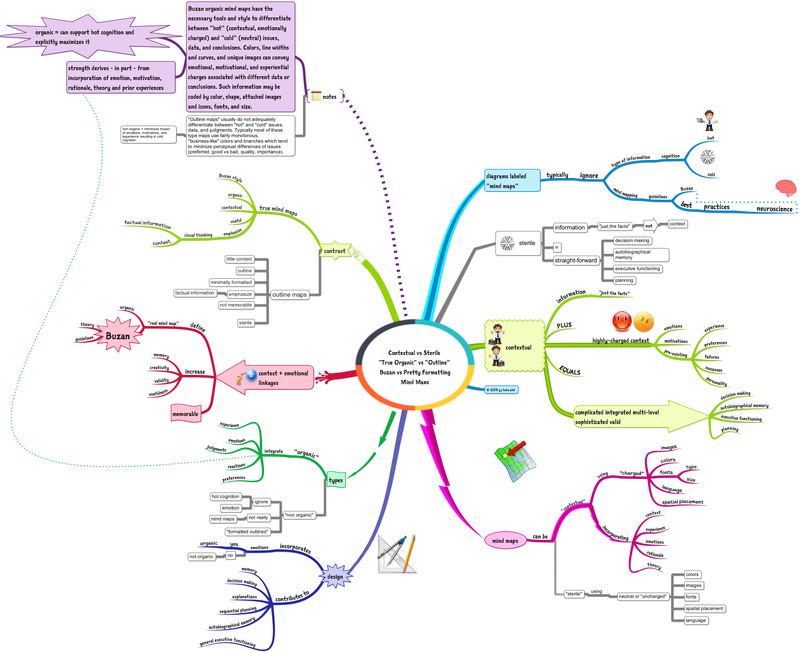 If you are looking for the correct way to mind map your life during normal development and aging or cognitive impairment, mental illness, and dementia this is it.